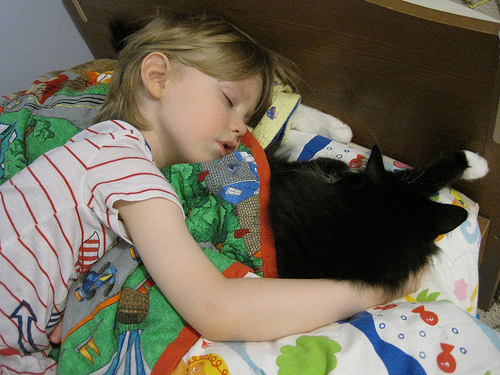 This week we asked: What does sleep look like? 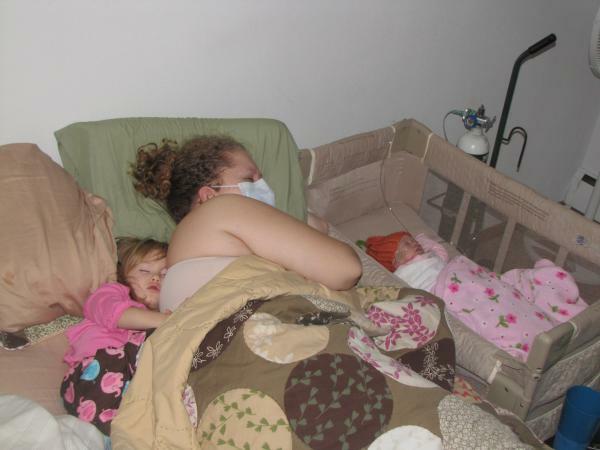 From Christa: Ella’s (born at 29 weeks) First Night Home. Christa blogs at The Good Letdown. 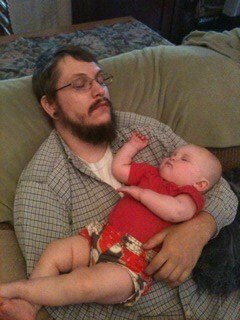 From Andrea: Ever since birth, she’s always looked most peaceful in daddy’s arms. …and so do little brothers. 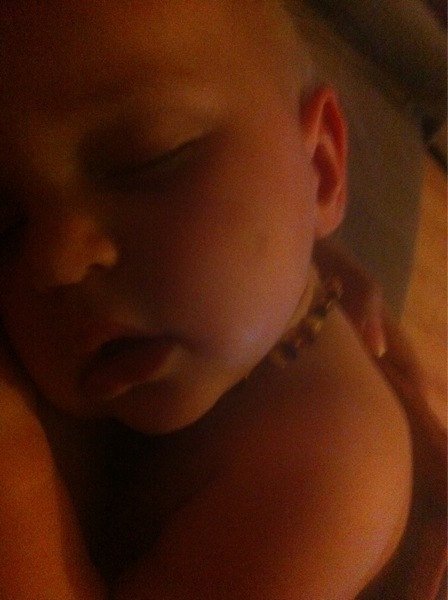 From Lindsey: Sleeping skin to skin on a hot day. Pure bliss. May all your dreams be as colorful as the world around you. 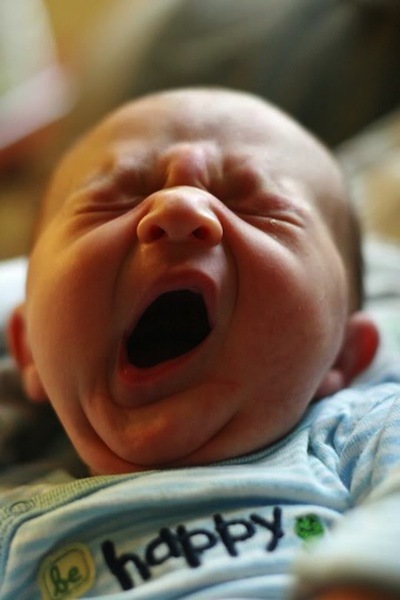 From Lauren: Big yawn from Baby Alrik. 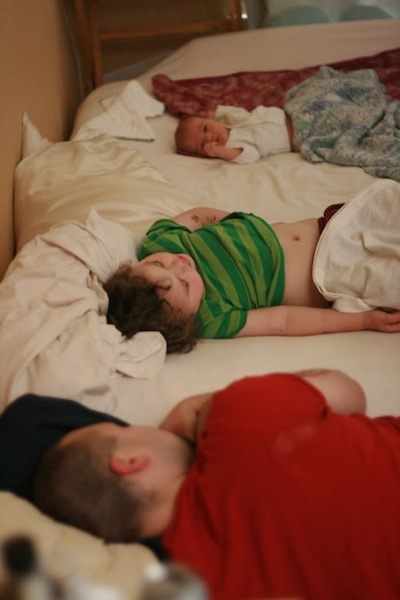 Even a king-size mattress has started to feel a little cramped now that there are four in the bed. In this picture, Mama has left to take the picture, and Dad has rolled onto the floor! 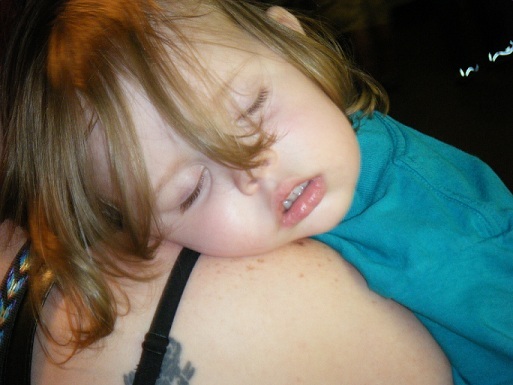 Momma Jorje is a sucker for a baby that will sleep on her shoulder (even if they do get heavier)! From Christine: Jesse believes that we should ‘sleep when we’re dead!’ Always fighting sleep, but doesn’t he just look like an angel once asleep. 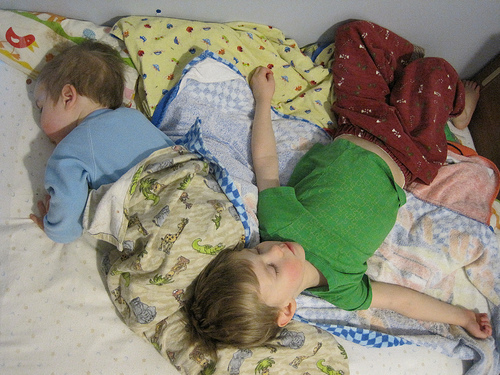 Tell us: What does sleep look like in your family? Do you have a Wordless Wednesday post? Please link up below! And find more Wordless Wednesday linkies here. Oh, my goodness, the cute! Picture after picture of sleeping adorableness. I love that the twins nurse down on your lap, Kristin. How sweet! I’m so bummed that I forgot to submit my picture for this! 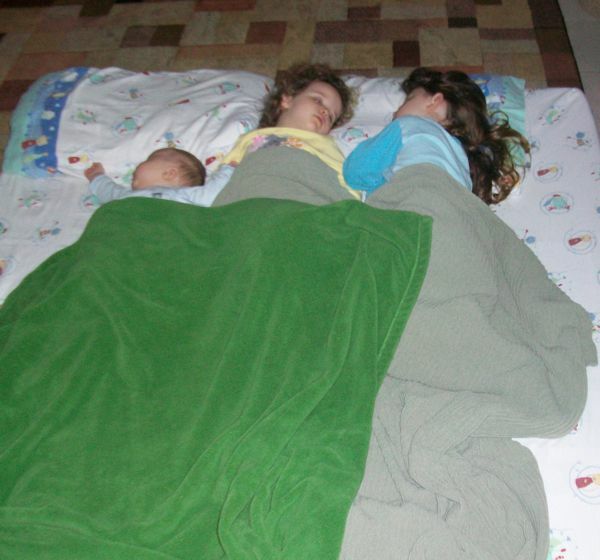 Charise – I totally thought Lindsey’s sleeping baby in the middle was yours! I didn’t submit one because my kids don’t sleep! 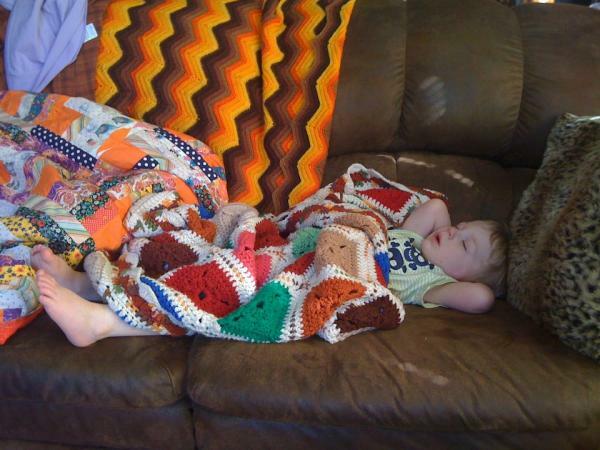 There is nothing better, cuter, cozier, and snugglier than seeing all these pictures of sleeping kids. <3 <3 <3. I love all of the sleeping babies. 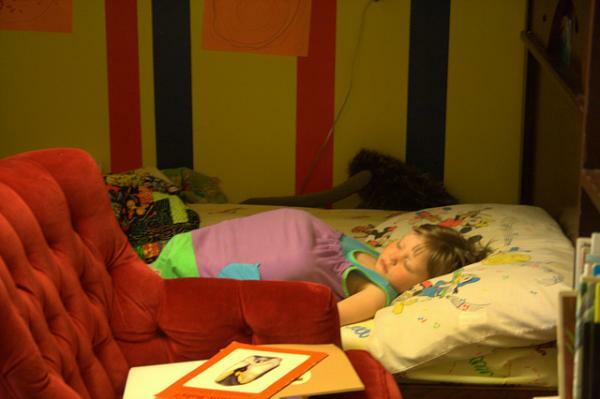 Even after the toughest, most challenging days, all of our babes put on their angel faces when they go to sleep. These are all so precious. Just a heads up- a few of the blog links aren’t working today. 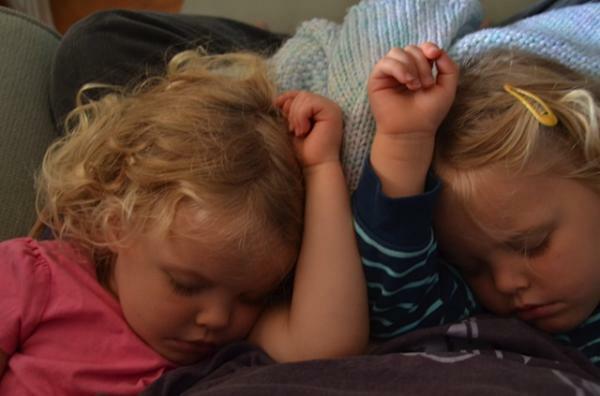 They definitely look their most adorable and INNOCENT when they’re asleep. 🙂 So cute! Thanks for sharing! 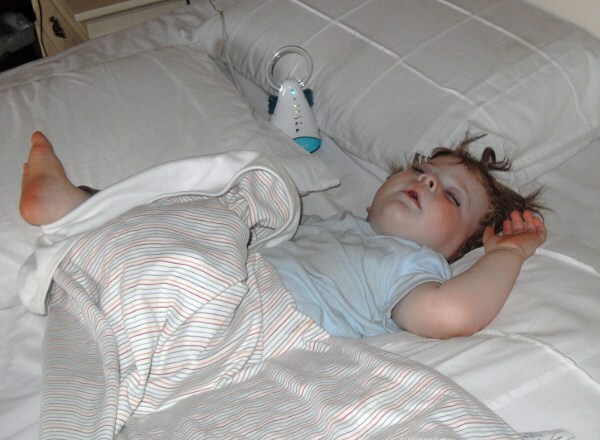 Kids are so good when they are sleeping. I love all the wonderful pictures. 🙂 I know my son is absolutely adorable. I especially liked the one where little brother is being used as a pillow.